What’s Ed Miliband actually like? Is he really as dweeby as you read about? Is he as plasticine in the flesh as he looks on TV? No other politician’s face has come under scrutiny like his. You’d think the invisible hands of Nick Park, the Wallace and Gromit animator, are constantly at work, kneading and mashing Ed’s mug just in time for the camera lens. And we’re partly responsible. When we went up to Leeds to interview him after he announced his plan to slash tuition fees to £6000, his spin doctor Bob Roberts took a picture of us together: a real clanger. 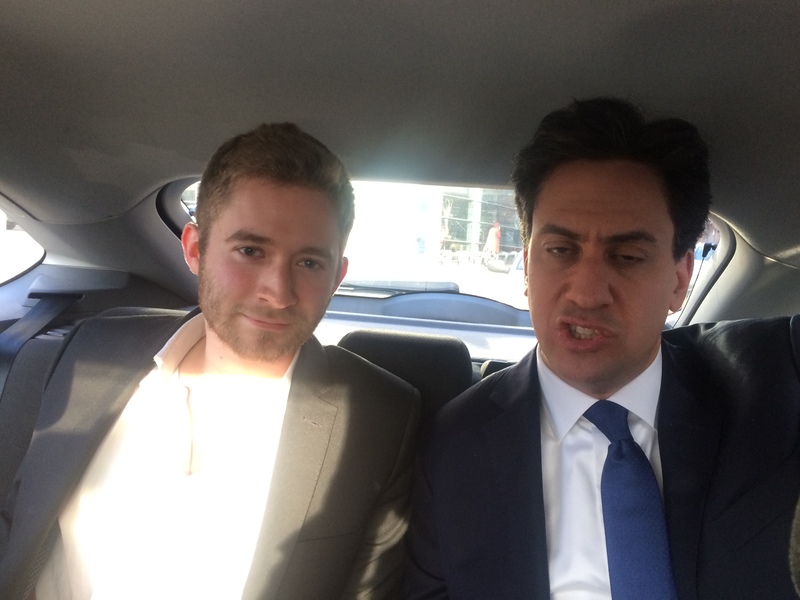 Ed’s familiar gurn was up online shortly after: “The geek strikes again”, “It’ll be a disaster if that fuckwit ever becomes PM”, “Those new tenner pills are mental” were among the reactions. 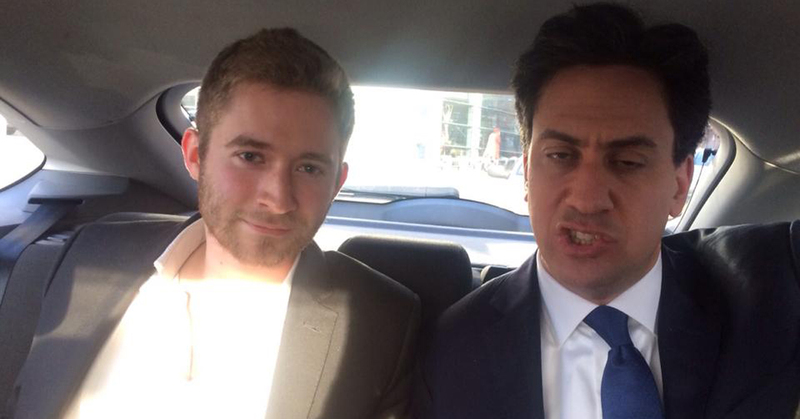 But that’s a bit unfair: Ed’s not that weird in real life, he’s actually quite charismatic. He delivered a genuinely engaging speech on university fees, maintenance grants and graduate opportunities. 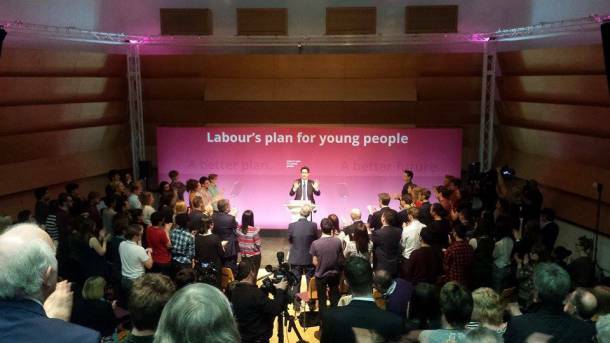 Outshining his side-kick Ed Balls on stage, he appeared enthusiastic and driven instead of leering and hapless. Up on the podium, his wide eyes don’t bore into you the same way they do on camera. He seemed strong and comfortable up on stage instead of wriggling on screen. It was hard not be drawn in, joining the audience, who either out of an inherited love of Labour or a contractual obligation, would rise to clap any sentence that sounded persuasive. The crowd was loving it. He’s slicker than he’s given credit for after seeing him nosh his way through a bacon sarnie or get schooled by Myleene Klass on ITV. He takes questions two or three at a time, listening to the stories of people who’ve had it up to here with the Tories and what they’ve done to our country. He denounces the trebling of tuition fees as “one of the most expensive broken promises in the history of British politics” and swears not to “do a Nick Clegg”. Can he promise not to compromise, even in a coalition government? “Yes, yes, yes,” is his emphatic answer, met with a glassy-eyed standing ovation. He leaves to thunderous applause, shaking hands and waving to his followers with a look of determination. We meet after his speech, a little tired after hours of interviewing, swigging a diet coke. He still fills the room more than you’d think: his shoulders aren’t hunched and his face doesn’t gape quite as much as you see in the pictures. His head spinner Bob Roberts steps in as we’re introduced to tell us we’re not allowed to take any pictures of Ed wearing a Tab t-shirt. 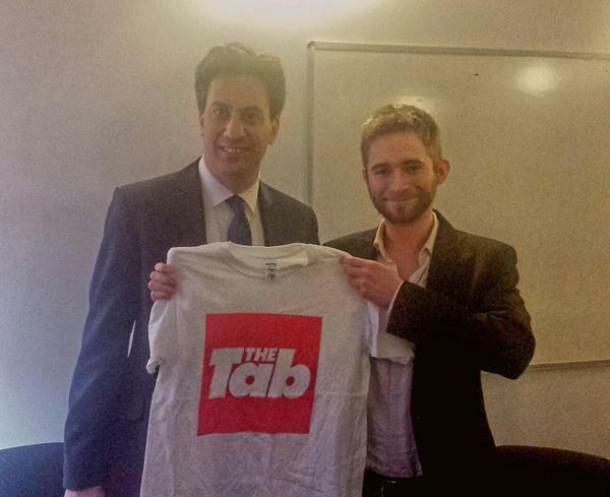 Ed pulls rank and says, “he can hold the T-shirt.” After wearing a “This is what a feminist looks like” top made by women sweatshop workers reportedly paid 62p an hour, his team are cautious. We hold up a shirt in front of him as a compromise. And what follows is a dizzy look into the Labour spin machine at work: at the end of an afternoon allotted for interviews, the team is running late for Ed’s next appointment at a TV studio in Yorkshire. “You’ve got seven or eight minutes, and then we’re going to have to cut it,” says a rushed aide. 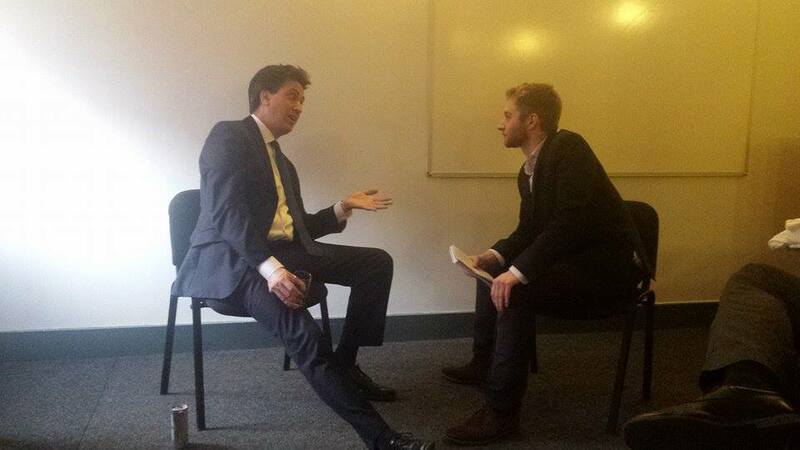 We sit down in front of each other in a classroom flanked by Labour svengalis and Ed gets cracking. He’s offering to cut tuition fees by £3000 and boost maintenance grants by £400. Ed’s also going to solve your problems renting at uni and then after graduation. He promises: “We’re going to ban letting agents from charging tenants and deal with some of the conditions of renting in the private sector.” It all sounds very appealing: cheaper uni, cheaper flats, more jobs and more money. Didn’t Boris Johnson say if you voted Tory, your wife’s breasts would get bigger and you’d get a BMW? In Leeds Student Union bar, it’s £2.50. “That’ll be good for Bob Roberts, later on.” His team allow themselves a small chuckle. While Ed is definitely less odd in person, he does have something a bit funny about him. He speaks with a bit of a lisp, as if he’s chewing a mouthful of steak. And one on one, he has the unfaltering eye contact of a practising hypnotist. But maybe that’s only because after watching every new video of him wriggling uncomfortably on camera, we now expect and even want him to act weirdly. He’s been pegged as a misfit and it’s an impossible image to shake off. So when he sees the latest snap of his unfortunate face splashed in the papers, the wind having abruptly changed direction, does it ever upset him? And that’s when we’re cut off as the spinners step in: “We can walk and talk but I’m very aware we have to get somewhere else.” We’re allowed to ask questions through the corridor, down the stairs and out the door. Ed gets up to leave and we walk out the classroom through the university building. His answers would suggest he’s turned on autopilot as he talks about his vision for the country. After figuring out how to use an exit button, we enter the reception. Some curious staff appear and ask if they can take a selfie. He pauses to take a picture, and right there, in the awkward pause between saying “not at all” and the camera flashing, is the curse taking effect. The plasticine animator’s hands are working over Ed’s face. There’s no doubt this man is aggressively unphotogenic. And suddenly we’re outside the building, standing in front of a car with a silent Labour aide in the front seat. Bob Roberts opens the door and gestures for Ed to get inside. This looks like the end but I have more to ask. “If you both get in the back, we can keep going,” says Bob. We agree on two more questions and set off. 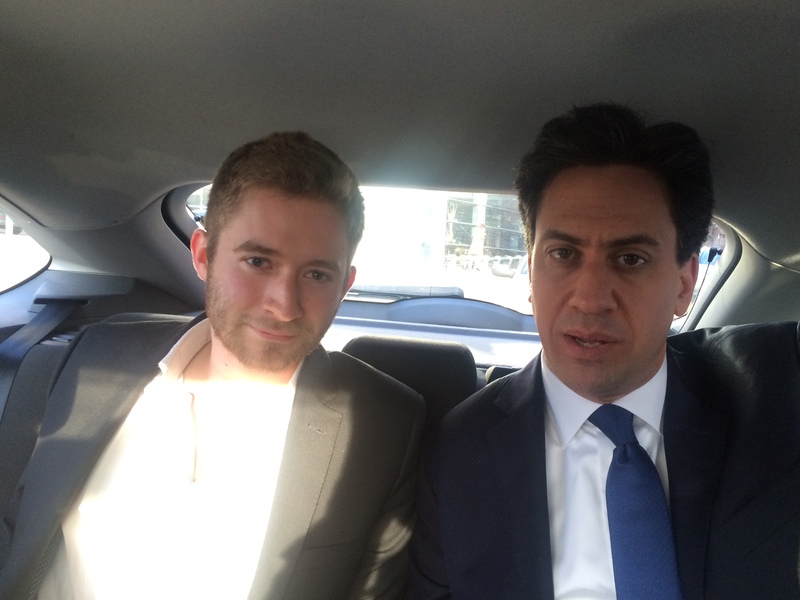 It’s unbelievable: I’m crammed next to the head of the Labour Party in the back of a blue Ford Focus. If the election goes his way, in as little as two months’ time this man will be leading a nuclear power with a place on the world stage. Now he talks about getting young people to vote in the election as I hand my phone to Bob Roberts, gesturing for him to take a picture. He takes a few and gives the phone back without checking them first. It must have been tough seeing those pictures online an hour later. The car beeps to tell us all to put our seat-belts on. One question to go. Ed wraps up with his usual line about the Tories wanting to take our country back to the past. “I feel confident about our message,” he says, feeling the interview draw to a close. The locked-in eye contact of earlier is over, he’s watching the road ahead. “What do the Conservative Party actually offer for the future? I mean, they don’t have much of a vision. They have a vision to do many more cuts, to go back to the 1930s in terms of public spending, I don’t think that’s much of a vision for the future.” He’s done. Bob leans back: “Do you want to abandon ship?” Ed offers his hand and says, “Great, I enjoyed that. 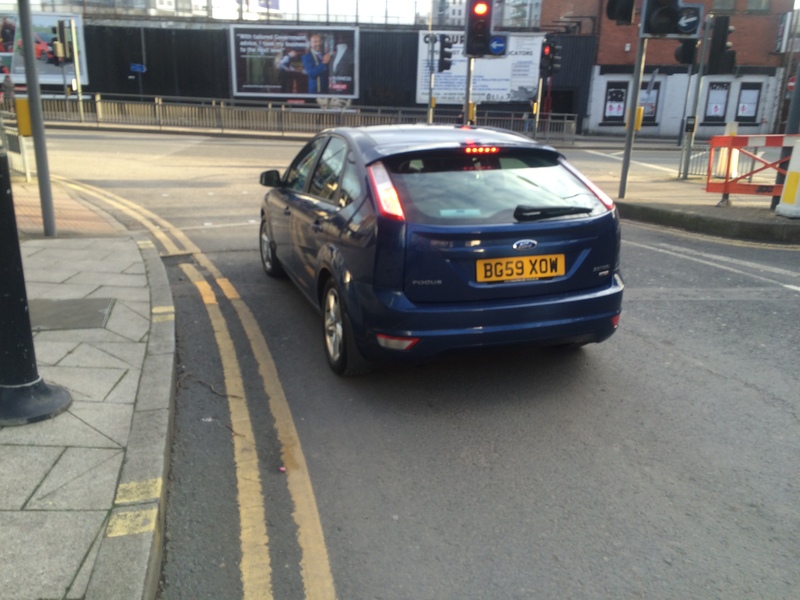 Cheers.” I step out as the Ford waits at a red light, then drives off onto the dual carriageway with the man who could be the next Prime Minister in the back seat.